ALL ITEMS HAVE NOW BEEN UPDATED. If you experienced crashing issues before, please re-download. Also added a collection file for catalog-searching ease. Love seat, ottoman (acts like a living chair), and dining chair in three fabric color options and three wood color options. (Share textures from ottoman). 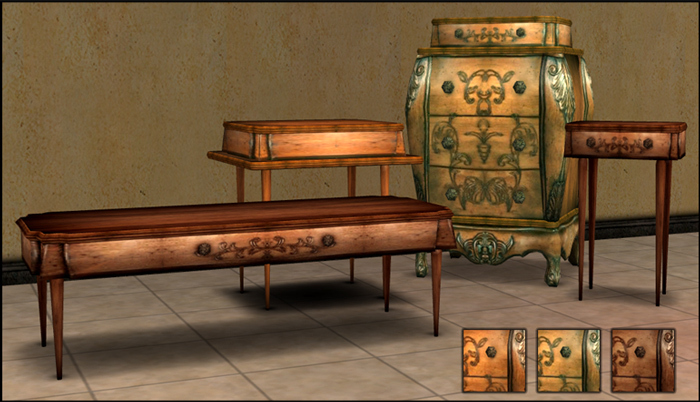 Coffee, end, and dining table, and chest of drawers that objects can be placed on top of. 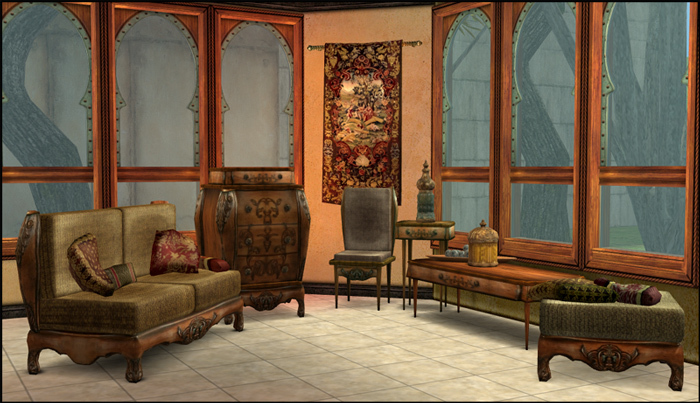 (Also share textures from ottoman). 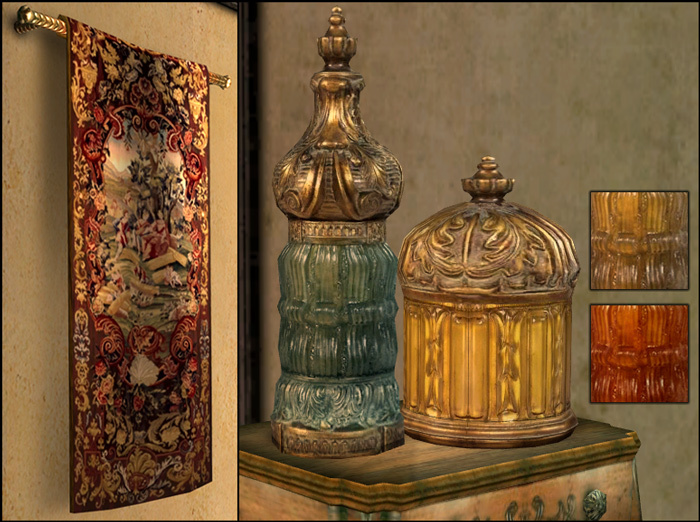 Hanging tapestry with a neato design, decorative urns in red, blue, gold. (Urns share textures from Urn I). Again, this set uses the now infamous repository technique (efficiency for the win! 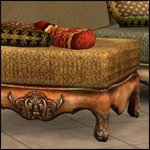 ), and you'll need at least the ottoman for the furniture to show up properly, and the first urn for the second urn to show up. 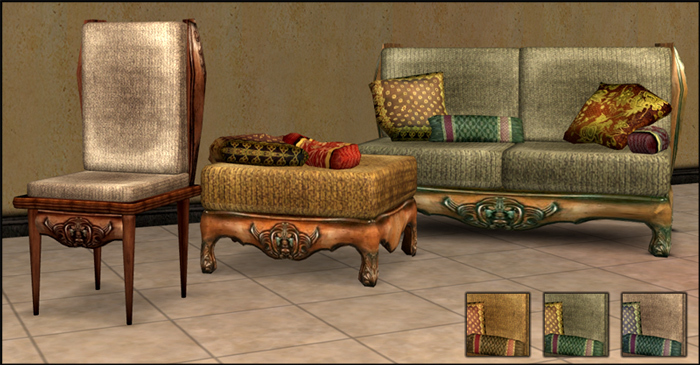 ~Homey Touches: The Living Room Set~ 27 New Meshes!